Since starting teaching I have worked with a lot of children with low self esteem who are afraid to make mistakes and have little confidence in their own ability. To combat this I always make sure that children know that mistakes are important – they help us to be better and we can learn a lot from them. 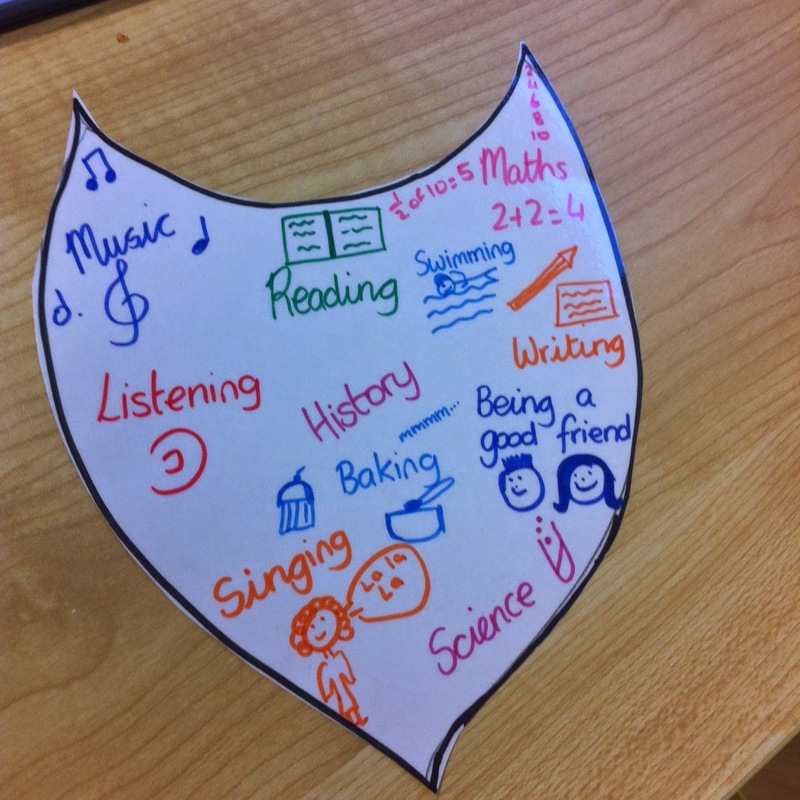 Get the children to make a shield – on it they write all the things they are good at (This can be in school and outside school too). Laminate the shield and allow children to keep it close. Whenever the child feels low they can refer back to the shield and remember all the things they are good at. Have a WOW wall. 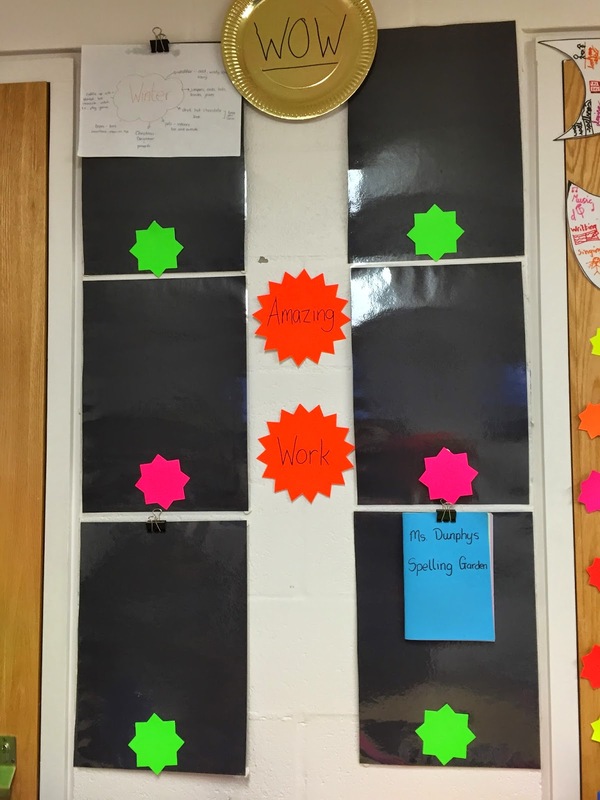 This is where you can display children’s best work. I laminated black A3 paper and used stars for the children’s names. The children choose a piece of work that they are proud of (It doesn’t have to be the same for each child) and this then makes up the display. It could be put up inside or outside the classroom! Do a social story on making mistakes. When introducing a new topic start with basics (where the child is at – before introducing more difficult concepts). Show the children what they can do rather than frighten them with the unknown. 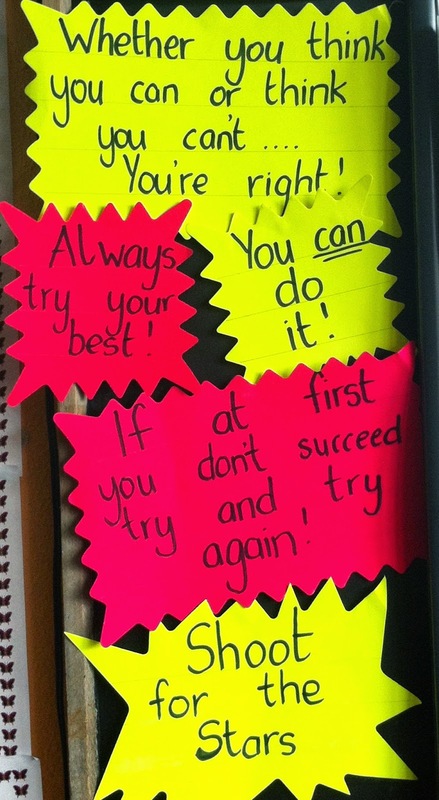 Quotes – I love motivational quotes and always have them somewhere on display in the classroom.